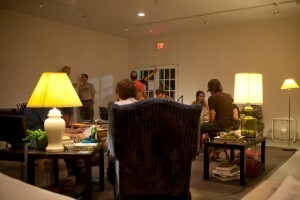 The Working Method would like to invite you to the 2nd Annual Artist Living Room. Please stop in and strike up a conversation with the MFA’s. TONIGHT 6-9 in Railroad Square first annual artist living room. sept 2010.